“And when you pray, do not be like the hypocrites… but when you pray, enter into your closet and pray in secret… and when you pray, do not use vain repetitions… after this manner therefore, pray…” (Matthew 6:5-9ff). For too long we have practiced and preached prayer as a means towards our own ends. I am thinking of several popular teachings and books on the market today which make prayer out to be a ritual through which we can induce God to give us what we want. This philosophy gives us the illusion of a manageable deity, a “god” who is under our control, having no choice but to respond to a prayer properly worded or recited. A person of average intelligence should be able to see that this is a ridiculous caricature of God – it is a misrepresentation and a deception. The widespread popularity and success of these teachings should make us at least a little suspicious as to the spirit which prompts men to perpetuate it. It cannot be the Holy Spirit. Jesus takes it for granted that His disciples will pray. This is why four times in a row He says, “WHEN you pray” and not “IF you pray.” But from these brief excerpts of Scripture we learn that there are at least two classes of prayer. One is unacceptable to God, and the other is well-pleasing to Him. One is of hypocrites, the other is of a pure heart. One is done openly to be seen of men, the other is hidden to be seen of God alone. One is nothing more than vain repetition to accomplish my own ends, and the other accomplishes God’s purpose. Now if we pray the prayer of the hypocrite we are wasting our time. God will not respond, He will not move, He will not listen to such praying. That is not to say that someone (something?) 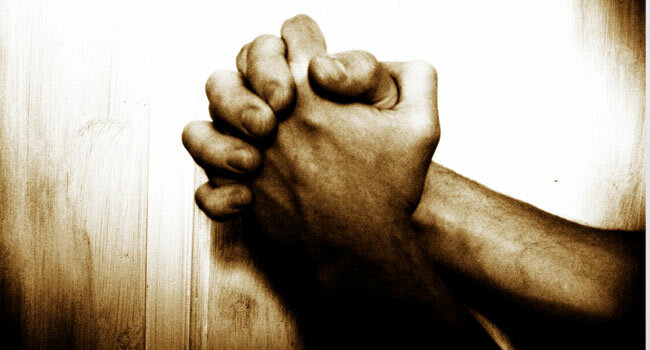 will not answer this self-centered prayer: but the answer, when and if it comes, will not come from the Father in heaven. Much praying is done in vain because the one praying has never gone to the Word to investigate the kind of prayer that is well-pleasing to God. Just as there is a worship that is “spirit-and-truth” and there is a worship which is fleshly and vain, so there is a “spirit-and-truth” sort of praying and a flesh-and-blood praying which is done in vanity. So by the grace of God we would like to look to the Lord to teach us to pray. Let us ask Him to show us the sort of praying that is acceptable to Him. “And when you pray, do not be like the hypocrites, for they love to pray standing in the synagogues and on the street corners that they may be seen by men. I tell you the truth, they have already received their reward” (Matthew 6:5). What makes a prayer hypocritical? It is a prayer which is done in public to be seen of men. It is an outward show to make one appear spiritual to others. It calls attention to one’s self through loud volume, lengthy discourse, or spiritual-sounding vocabulary. It is primarily done for ceremonial benefit only, for the listening ear of men, and not for God. We want to be seen and heard and observed. We wish to be known as “prayer warriors” so we prefer to do our praying in public, by the altar, in church, or at the prayer meeting, so everyone can see us. We would have people know us as watchmen, prophets, and intercessors. But what matters most is not how people perceive us, but how we truly are before God. Hypocrites typically use public praying to preach or make demands upon others. I was in a meeting once when a newcomer was asked to pray. Before long he began talking about his financial needs as if he were talking to the Lord, but it should have been obvious that he was merely letting it be known to all present that he expected a monetary gift. He even said, “I pray that someone will give me the money I need.” And of course, after the meeting, someone did. But neither the one who prayed nor the one who “answered” his prayer were in the Spirit. This man should have been rebuked, but no one rose to the occasion, including myself. So we all missed the Spirit, but we learned a lesson. And we never heard from the man again. Preachers are equally guilty of hypocritical long-windedness. It is interesting to observe how differently someone prays when standing upon a platform before others compared to how they pray in other places. They seem to believe that the spotlight calls for certain words and phrases to be used that they would not otherwise use. This, too, is done for the benefit of the listeners. “Oh, he can pray such powerful prayers!” they exclaim. But this does not mean they are necessarily powerful with God. Particularly in a day when prayer meetings, prayer gatherings, prayer retreats, and prayer warfare is being emphasized, it is important to understand what the Lord is looking for so we do not fall into a trap of vanity. The experience of many saints seems to indicate that the more we pray in private, the less we will pray in public. The words will be fewer, but they will be far more weighty and valuable. One brother was so broken before God privately that whenever he stepped into the pulpit to pray publicly, all he could do was fall over the lectern and weep, “Oh God!” That is the proper spirit, and how I wish we had more of this kind of prayer. “But when you pray, enter into your closet, and after you have shut the door, pray to your Father in secret; and your Father, Who sees what is done secretly, will reward you openly” (Matthew 6:6). 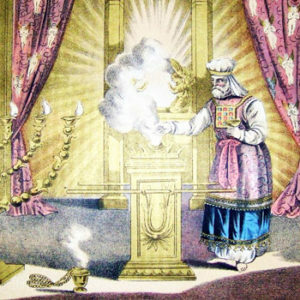 Why does the Lord prefer secret prayer to prayer done in the synagogue (or in the church building)? Prayer which is most valuable to God is done in secret, in the prayer closet, in the inner chamber where no man’s eyes can see and no man’s ears can hear what is said and done. Thus, everything said and done in secret is for the Lord’s sake. Most public praying is done to be seen of men; hence, it has virtually no worth. An abundance of public prayer cannot make up for a lack of secret prayer. As a child I took this Scripture literally. I would go into a closet and close the door, praying to the Lord in secret. When I got older I would climb to the top of a tree to pray and read. Or I would sneak out while it was still dark so I could pray. As I look back on my life these are the sweetest times of prayer and communion I have ever experienced. It does not matter whether your closet is a literal closet or not. The issue is the sort of prayer that is offered, whether it is done to be seen of men or if it is done to be seen of God. If we are praying to the Lord for the Lord’s sake then we will want to keep holy things holy, private things private, and sacred things sacred. We will not easily repeat to others the intimate details of these encounters with God. It would seem almost sacrilegious to do so. Is prayer and worship a lifestyle, or is it an event? If it is an event, if most of our praying is done once a week when we gather together, then we will be lacking spiritually. We will sense this lack when we try to flip a switch and become spiritual enough to pray. But our corporate prayers have their basis in our secret prayers. The real value is not what is seen outwardly, but what we are inwardly, beneath the surface, as we minister to the Lord in secret. “But when you pray, do not use vain repetitions as the heathen do: for they think they will be heard for their much speaking” (Matthew 6:7). It may come as a shock and a surprise to most people to learn that much of what they are doing, even the spiritual things (especially the spiritual things), are vanity. People have been taught that so long as they attend church and pray the right prayers for protection, blessings, power or anointing then everything will be well with them. People who relate to God in this way are behaving like heathens – Jesus says so. Heathen people are not irreligious. They worship! They pray! Hypocrites give! Hypocrites fast! Hypocrites do mighty works in the Name of Jesus! But according to Jesus, it counts for nothing. It is all in vain. They do not really KNOW Him, and He does not “know” them either. “Do not be like [the heathen], for your Father knows the things you need before you ask Him” (Matthew 6:8). Jesus does not say that since the Father knows what we need, we do not HAVE to pray – but if He already knows what we need then it should definitely change the WAY we pray. When we do pray we should not behave like a hypocrite or a heathen, obsessed with ourselves. Our needs are already known to the Lord. So it is not as though we have to go to God and inform Him as to the details of our situation in order to fully appraise Him of what is happening. We might give our doctor such detailed information so a proper diagnosis can be made, but the Lord does not need any assistance from us in order to help Him figure out the problem. Nor does He need us to tell Him what needs to be done, as if we know what is called for and He does not. What if prayer is something deeper than rehearsing my needs to the Lord? What if prayer is a means toward a higher end than getting my circumstances and my surroundings in order? In other words, what if prayer is not about my needs, my desires, my wants, my requests, or my situation at all? What if prayer is meant to meet the LORD’S need? What if, instead of coming to the Lord with OUR expectation as to the outcome, we come to the Lord, interested in knowing what HIS expectation is? What if prayer is not about giving voice to MY will at all, but is about giving voice to HIS will? This concept may be too radical for some, because it will require a further death to their Self. But since the Father knows what we have need of before we ask, prayer must not be primarily concerned with telling Him what He already knows. Since we are to pray, and since the Lord knows our needs already, does this not indicate a higher calling and a deeper work to be done in prayer than merely voicing my personal prayer requests? To the heathen and the hypocrite, who are so absorbed with Self, vanity (futility and self-centeredness) is evident everywhere, and in their praying in particular. According to the Scriptures, it appears that Jesus is bringing us to a deeper understanding of prayer. So after what manner SHOULD we pray then? Jesus makes it very plain. “Pray after this manner: ‘Our Father in heaven, may Your Name be hallowed, may Your Kingdom come, may Your Will be done: as in heaven, so in earth'” (Matthew 6:9,10). At once we are lifted up from the earthly situation and are made to focus upon a heavenly Father, a heavenly Kingdom, and a heavenly Will. I believe it is so important for us to see this. Prayer does not begin on the earth, it begins in the heavens. It does not begin with man, it begins with the Father. It does not begin with man’s need, but with God’s will. Our praying is ineffectual because we pray as earthly men with an earthly perspective concerning earthly things. See how far and above this manner of praying is when compared to the hypocrite, praying in public to be seen of men! Prayer ought to bring us up into the heavenlies, not bring us down deeper into the earth. It ought to focus our vision on the Father, not on man, or the problems of man. Spiritual prayer begins in the Spirit; heavenly prayer begins in the heavenlies. When we pray “after this manner” we are transported and elevated beyond flesh-and-blood, beyond the natural, beyond the earthly, beyond the seen-and-felt universe in which we live. We are at once brought into alignment with Someone larger than ourselves, Someone higher, Someone greater. This Someone has an agenda, and is working all things together in one accord towards this agenda. What is the agenda? It is the Will and the Kingdom. So what is the Will and the Kingdom? The Will is “all things in Christ” and the Kingdom is the fulfillment of that Will, when Christ has the preeminence. All of God’s movements are towards this End. So the chief objective of prayer is to bring us into cooperation with the Father so that we are harmonious with Him – with respect to our love relationship as well as our working relationship. Much time and effort in prayer is spent trying to get God involved with OUR agenda, with OUR plans, with OUR goals, with OUR cause, with OUR needs, real or imagined. But after all, who is the Master? Who is the servant? Whose will are we seeking anyway: ours, or His? If we have not touched upon the Will and the Kingdom in our praying then we are praying in vain, because God cannot contradict Himself, and cannot answer such prayer. If our agenda is not harmonious with His then our agenda has to go. Most of our prayers are simply too small, too narrow-minded, and too constricted. We do not see anything beyond our present surroundings. We have not seen the big picture. We do not have a heavenly perspective. So to begin with we must empty ourselves of all preconceived ideas and seek the Lord’s Will and the Lord’s Kingdom when we pray, for this truly hallows the Father. “Give us today’s bread again as usual; and as we have forgiven others their sins, so forgive us our sins'” (Matthew 6:11,12). The Lord does not tell us NOT to make our requests known to Him. It is appropriate to thankfully acknowledge Him on a daily basis as our Provider and the One Who forgives. The difference is this. When we pray the Will and the Kingdom, when we lose ourselves and our agenda, when we come to the Lord to meet His need, then we will find our needs are met: but even if they are not met, we will not care. Our desire is for Him, and so long as we are in His Will and in His Kingdom, the issue of whether or not my personal needs are met becomes of secondary importance. Prayer is not the vehicle whereby I get my needs met. It is the means through which God’s Need is met. Now that I am praying on behalf of God’s Will and God’s Kingdom, now that I am praying in alignment with God’s desire for the ages, He will be sure to supply me with what I need (indeed, nothing can prevent it, for nothing has been able to prevent it for billions of years). As I have sought first the Kingdom, all that is required will be added to me. Not for my sake, you see, but for His sake. As I have vested myself into His Kingdom, He has vested Himself into my well-being. How could it be otherwise? For after all, where is the Kingdom? Here, or there, in the future, in the past? No, the Kingdom is within you (Luke 17:21). When we pray God’s Will and God’s Kingdom, are we not asking for Christ to increase and for us to decrease? 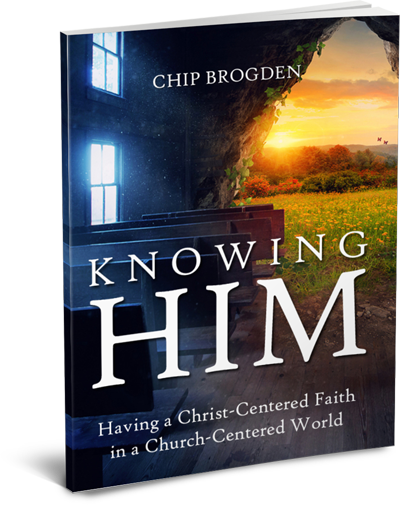 Are we not asking for Christ to have the greater preeminence in us individually as disciples? For the moment, forget about bringing the Church together or getting everyone to see the same thing. If each of us prayed this with no greater goal but for ourselves, would this not by extension include the entire Church, of which we are members? So we are praying for Christ to have the preeminence in us individually as disciples; in the Church corporately; and in all of creation collectively. We are aligning ourselves with some very powerful forces, all working together towards God’s Ultimate Purpose. Now whether or not you consider the bread to be physical or spiritual (or both), it is provided daily. And, on a daily basis, forgiveness of sins is provided. Bread speaks to our Life, and forgiveness of sins speaks to our walk. Daily we require Life in order to live. Daily we offend others, and daily we offend God. So daily we have need of forgiveness. Quite frankly, whatever else we may think we need is summed up into these two things. Everything else is good to have, and God may be pleased to grant them, but they are not absolutely necessary. No one has a Scriptural “right” to make demands upon the Father for whatever they want, no more than my children should expect me to give them everything they ask for. Since we are already blessed with every spiritual blessing in Christ (Ephesians 1:3), the bulk of our prayers ought to be centered on God’s Will and not our wants. UNLESS – and here is where it gets interesting and powerful – UNLESS what WE want is what HE wants. God will deny no prayer that is in agreement with what He Himself wants to do. In fact, He is the One Who makes His Will known to us, so we can voice our agreement to it in prayer, so it will come to pass. Conformity to Christ includes wanting what He wants, and if this is taking place in us, the first place it will manifest itself is in our praying, for this is where the exchange of His Life for my life is taking place. And by now we should already know that God only wants ONE THING. Eventually, that is all we will want, and that is all we will be able to pray. The easiest way to get your wants met in prayer is to only want ONE THING. “Lead us not into temptation, but deliver us from evil: for the Kingdom is Yours, the Power is Yours, and the Glory is Yours. May it be so forever'” (Matthew 6:13). As we begin with the Kingdom, so we end with the Kingdom. On what basis may we claim deliverance from evil? On the basis that the Kingdom is of God, the Power is of God, and the Glory is of God. What is evil? All that is of Antichrist is evil. Antichrist resists God’s movement towards Christ as All in All. Whether or not this culminates in a last days dictator is beside the point. Antichrist has been with us from the beginning. The spirit of Antichrist has always resisted the preeminence of Christ, from Lucifer’s rebellion to the sins of your flesh. A thing does not have to be bad to be evil. It could be as an angel of light. Of course, bad things are evil, but even seemingly good things are evil if they are not bringing us further into Christ as All in All. So if God’s Highest Good is Christ, then anything less than Christ or apart from Christ is evil. So many are under the impression that the devil has a kingdom, but a search of the Scriptures fails to produce a single shred of evidence to suggest this. “Thine is the Kingdom.” The Kingdom belongs to God. God never gave anything to the devil. Even in the Old Testament, before Jesus walked the earth, it is said, “The earth is the LORD’S, and the fullness thereof: the world, and they that dwell therein (Psalms 24:1).” Again, many are obsessed with the alleged “power” of darkness, and anyone who has the ability to deceive another has the ability to control them, but here we are told “Thine is the Power.” There is no intrinsic power of darkness, there is only power over individuals gained through deception. The True Power is not held by darkness, but by God, through Jesus Christ, in heaven as well as in earth (Matthew 28:18). Finally, “Thine is the Glory.” It is this Glory of Christ as He in fact is that manifests to us by revelation, and this Glory is indeed manifested in the heavens as well as in the whole earth (Psalms 8). Now if we carefully look at these three items – the Kingdom, the Power, and the Glory – we see that it is as much for earth as it is for heaven. It truly represents all that “as in heaven, so in earth” means. Yet there is, on the earth, something which seems to challenge the preeminence of Christ, as if to say that there is another Kingdom, another Power, and another Glory, whether it be of men or of satan (Luke 4:5,6). To pray in this manner is to declare otherwise. It is to stand upon the earth and give testimony that there is only One Kingdom, One Power, and One Glory, and these belong to the Father and to His Christ. Of course, we must see this and believe it in order to pray it. But this, essentially, is the Testimony of Jesus and the ministry of the overcomers. The thing which hampers our praying the most is the smallness of our vision. Prayer is only a means to an End, and the End is to see Christ established as the Preeminent One on the earth as in heaven. Prayer aligns us with the heart of God so that we only desire the One Thing that He desires. We cannot, we should not, have faith in prayer itself. How easy it is to put our confidence in a method or a technique for praying and begin relating to God like a heathen. How easy it is to put our confidence in man and begin relating to God like a hypocrite. It is interesting to see that as powerful as “the Lord’s Prayer” is, it is nevertheless done behind closed doors, and in secret. We are not told that we must go to strategic points on the globe in order to exercise our authority. We are not given the names of demons or principalities with which we must engage ourselves. Not at all. In our prayer closet, once the door is shut, we merely pray in this manner to the Father, and He will reward us openly. And lest we forget, Christ is our reward. We seek not His things, but Him. We seek not our Kingdom, but His. We rely not in our power, but in His. And as we are decreased, He is increased, and His glory is revealed and made manifest in us and through us. This is true prayer, provided we are willing to leave our ground and come onto His ground, praying His Will and not ours. O Father, reveal Your Son in us. Teach us to pray. Your Name be sanctified. We stand for your Kingdom and for Your Will in the earth. May Your Kingdom come – in us. May Your Will be done – in us. As in heaven, so in earth. We thank you that as we seek first Your Kingdom, everything we need is provided. Deliver us from all that is Antichrist, from all that is natural, from all that is flesh-and-blood, from all that is carnal, from all that is earthly, and establish us in the Kingdom of Your Dear Son. We recognize no kingdom but Yours, no power but Yours, no glory but Yours. May it be so forever. Amen. Excellent piece Chip! My spirit concurs with it throughout! I too become offended by the “King James lingo” prayers from pulpits and stages, as well as others for show, or as a way of passing on gossip. I hear it over and over as a prayer for the sick. Where does this come from? How do we respond? Yet again, you are right on target Chip. Thank you for bringing Truth into our lives! This is a comprehensive piece, but I want to respond simply with this small observation from my own experience. Elsewhere, Jesus tells us to ask ANYTHING in His name and it will be given us. The key, of course, is “in His name.” As we take up the cross, it is inevitable, I believe, that our will conforms more and more to His. This is a progressive process as the cross does its work. Moreover, as this happens, prayer originates less and less with us, and more and more with Christ. I think most of us have had the exsperience in praying, when prayer just bursts forth from our mouths out of our hearts and we couldn’t hold it back if we wanted. This kind of praying is not out of our flesh or selfish in its motive. It is from the heart of God. It is, truly, “praying in the Spirit.” It is the kind of praying that really doesn’t give thought to what others around us might be thinking. When prayer originates in heaven, the rocks will cry out of we do not give voice to it! This is the kind of prayer that moves mountains. It is really a partnering with God, to use our mouth to give voice to his heart. And the really neat thing about it is that as we truly submit to the cross, His heart becomes our heart, His desires, our desires. Tank you, Chuck. A wonderful addition to Chips article, as you communicate the Lord’s heart. Blessings to you and your house! Thank you for this article on prayer. It has truly blessed me. When I was in the IC I would get so upset hearing the pastor pray and most of it was about binding this devil and that devil. His focus was on the devil not on the Lord. I would get so consumed about what to pray for like our gov’t our nation the wars and on and on.I was set free from that after I listened to a teaching on prayer and this man taught just what you just taught. I like that we seek God and ask Him how to pray His will into all our situations. You have just reinforced that and more thank you.I also thank you about praying in public I have never been comfortable with that either. It wasn’t until I began to forget my own petty needs and desires and to ask the Lord what He wanted that I began discovering prayer the way it was meant to be. Sure I’d like a new this or that, better wages, better living situation – but the Lord has vastly different things in mind for me and my efforts. I’ve learned a lot through the books and tapes Chip has here. This was one of the key things. Prayer does change me, for the better. It’s not an easy thing to do, but the Lord does bless immeasurably when you trust in Him to lead you. Thank you for “hitting the mark”, my brother. Thank you. Thank you. Thank you for speaking as He speaks to you. Our hearts are refreshed by His through you! I think what i hear most often from the pulpit is prayers that under the guise of talking to God are really just preaching at people. Great article and spiritual insight. I have read a considerable amount of articles concerning prayer, but I believe that you have covered all the bases and have provided the “spiritual meat” that will nourish and encourage those who have been invited to dine at the Lord’s table and to pray according to His will. How selfish we have been been in most of our praying in seeking “not His will, but our will to be done”. May our loving Father forgive us and set within our hearts a holy fire wholly consuming all that which has not been birthed by Him and which will not be quenched until we will seek only His will, doing and becoming an expression of His will in this world. Father, our hearts sincerely cry out from the depths within us….”Teach us to pray”! I think a better way to put it is – Prayer doesn’t change things. God does. When we pray, we influence the heart of God who changes things. I think the article demonstrates that there are some inherent problems with that approach to prayer. But if you keep praying God will make it known to you in due season. It goes like this: Prayer only happens when the Spirit draws me into it. I am a slave to prayer. His will is always prayed for not mine (or anyone elses). I worship when I pray. Ask anything and He will do it – because I pray only for what He wants. I cannot pray for anyone and everyone. There are some we ought not pray for. By praying by the lead of the Spirit we pray as we ought to. I feel a tremendous power of the Holy Spirit on me while I pray. He actually gets mad at me if I pray any other way. I pray for what He wants to do to me and in me and know He will do it. Prayer and worship are one. I love prayer. I realy apreciate God for such truths…. Prayer… may the God of our hope deliver us from the evil that besieges us day and night. Let me get this in context quickly…trees that bare fruit would not be caught asking to bare thorns. A tree with the knowledge of itself (the faith of a mustard seed) knows what fruit it will bare, it needs to be cultivated by the grower to produce much fruit. Not only does the Father know what we need but this should be our knowledge and understanding as well. This will bring the words we need to ask of the Father. 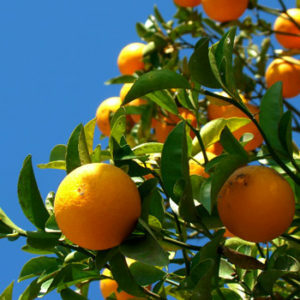 We will (in the case of fruit) ask for the grower to water us, feed us, keep the bugs away and prune us, that we will bare remarkable fruit for Him. I would like to submit that the “closet” Jesus said to go into and pray from is within your heart (your new heart)the inner man. It is from here that we are to ask of the Father and He will give unto us. As the Psalmist writes…”If I regard iniquity in my “heart”, the Lord will not hear me. Most people pray from the flesh (their own understanding) with very limited success. God wants nothing to do with our flesh (own understanding) and/or blood (our life due to our fleshly understanding). This “heart”, what once was corrupted but raised with Christ as incorruptible is from where we are to live from. Heaven on earth. My prayers consist of pleadings that the Father will cleanse my soul so that it will be ready to receive the Christ. The new creation which is born of God, yet needs to be raised so that he will have the heart (Christ) of the Father. When Jesus says we perform our “acts of righteousness” which He lists as giving, praying and fasting, He says that these acts are virtuous, in the fact that there is an automatic reward given with the practice of each one. We see the example of a built in reward with the practice of “unity” in Gen. 11, as evil men are building the tower of Babyl. God even confessed, because they were unified, “nothing could stop them.” The question that remains is; who do you want to be blessed by? Do you want an external, temporary and fickle blessing or an eternal, weighty reward? The reward is based on my audience. If do these acts unto men, my reward is temporary. If I perform these acts unto God, my reward is great and eternal. I forfit God’s reward if done unto man. You Twittered – “Prayer changes us” I agree. It seems the more I pray, the more I do change but it seems for the worse. When actually I believe the Lord is answering my prayers to “Change me” , because He is showing me the things festering in my soul (I, the sinner)that I have either denied, or did not know were there or I thought I had rid myself of many years ago. The process is not unlike an infection. Once you realize you have an infection, it needs to drain, and that can be painful. But once it has drained, there is relief and the real healing can begin. I just wish I could experience this process on a desert island somewhere instead of in front of family and friends. It is quite humbling to say the least. I remember spending hours in prayer with a friend of mine several days a week. After a while it became frustrating to repeat the same petitions day after day. It began to feel that our prayer never got through the roof of the room we were in. Of course we were very active in the OC so we really had no clue as how or what to pray. But even in that the Lord taught us and showed us things that drew us closer to him. Looking back, after having left the OC, I know for certain that Jesus used this time to draw me away from that church. The secret closet of prayer is always the sweetest time with the Lord and time well spent! 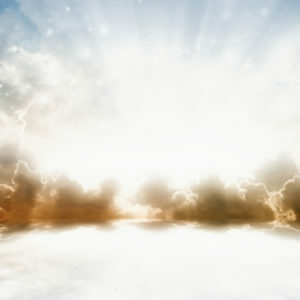 It would seem that today God works according to the principle of incarnation – God mingled with man! Therefore when we pray we give God the way to carry out His purpose through man. So yes, God definitely changes us when we pray. The more we pray, the more He increases and we decrease. Sometimes my prayers occur when I bow my knee, sometimes while in my car, sometimes while breathing Him in and out while on my job. Sometimes, its in the form of a petition, sometimes through tears, sometimes in the form of a conversation, also during moments of praise! What better way for Him to increase and me to decrease! Hi my dear brothers i only wish to share what has been my experience since i left the ic regard pray. In my times of intimacy with the Lord i found myself more and more speechless, simply i have nothing “important” to say yo Him. Then, came the time for hear from God instead to ask from Him. So, in time I am learning that pray is more about hear than to speak. Because He knows everything and I know nothing or almost nothing. The results of this (you can imagine) have been an increased walk side by side with my Friend Jesus Christ a greater peace and an increase of Him and a decrease of myself. So this will be in us all. Thank you, Miguel, for sharing your personal experience, it makes it very tangible. I sure find it interesting that prayer should be more about listening than talking. >So many are under the impression that the devil has a kingdom, >but a search of the Scriptures fails to produce a single shred >of evidence to suggest this. “Thine is the Kingdom.” The >Kingdom belongs to God. God never gave anything to the devil. Clarify this point for me. When the devil tempted Jesus in the desert, 2nd temptation:-the devil said bow before me and i will give you all these? (as in cities or people) How could the devil do that? Did sin cause men to lose authority and right of ownership? This article is really helpful to me. For a while now, I have been uncharacteristically resisting several aspects of prayer and I didn’t know why. One is praying in front of people (especially at speaking engagements) because it began to feel to showy or canned, and another is telling God my needs when I know that He already knows about them. It’s almost like the closer I have grown toward understanding the true character of God, many of the things you said in this article have been manifesting in my prayer life but I didn’t see them as a good thing–I thought something was wrong with me. I also struggle a lot with intercession and I don’t know why. But I feel after reading this article that I will have renewed joy and excitement in my prayer life as I seek to pray 3 things: His Will, His Kingdom, His needs! Thank you. but with God all things are possible!! Thank you! Do you suppose Jesus gave the church three years to change their prayer? can anyone tell me why we use the phrase IN JESUS NAME at the beginning and end of our prayers. not saying you cant but do not see it in any of the prayers of paul. I only got through the first three paragraphs of this article and it stirred a spark within me. When I go back and finish the article, I’m sure I will be in a full blown inferno! What I have witnessed in relation to this article so far, is people praying for whatever their perceived needs/wants are and then when they receive said perceived needs/wants/selfish desires , they “Praise God!”, “Glory to God!”, “God is Great!”, and attribute it all to God “blessing” them. This deluded credit to God is unnerving. And then comes the whole “it was meant to be” or else this wouldn’t have happened. Hogwash. Man can answer his own prayer through a variety of ways…manipulation, lying, cheating, etc. all of which has nothing to do with God. They insist though that when the prayer is “answered” it’s because God wanted to “bless” them. Beyond the scope of denial as to how the needs were really met and then the subsequent puffed up attitude, is the even more dangerous aspect: the individual not only believes/acts to have been blessed, but then they run around telling innocent people of their supposed blessings and how they too can be blessed. This is troubling at best. Spiritually immature people are literally preying on other spiritually immature individuals. Despite all the “learning”, they have not grasped a single thing. And what happens to the next person who prays as they were “taught” by individual A and their prayers are NOT answered accordingly? Their already misguided faith becomes even more so. There are far too many churches, individuals and spiritually immature people leading the blind right into the spiritual grave. These people turn a deaf ear and a blind eye to the bottom line which is that prayers are NOT ABOUT US. Our need is in, and our service is to, the Lord! Hello chip,great article.Chip, has the father shown you any thing in reguards to leading the unsaved to salvation through prayer.I feel there is more to leading the unsaved to salvation ,then what the tradional church teaches[THE SINNERS PRAYER]?I sense that the church misleads sinners towards recieving jesus by telling them first say this verse of the bible then say this verse of the bible and “BAM” your saved,mean while the person could care less about a relationship with JESUS! Chip,thanks for the article.Chip i have a question in regards to the “SINNERS PRAYER”.The church teaches that if the unsaved person verbalizes these words in prayer they will be on there way to heaven, irregardless if they are sincere in what they are saying! Has the father ever shared with you how we are to lead the lost to salvation through prayer? Wow! What an eye opener this article has been! My husband and I, through years of well meaning, but erroneous teachings have felt so “forsaken” by God, and never understood why most of our “prayers” have never been answered… even me being out of work for a year. We couldn’t understand why having hearts to give, giving, and after working hard… we still battle financially! My question is this, however. You mention that our needs, “rather met or not”, should be secondary, but we live on an earth where it takes jobs and money to just survive and pay bills. Surely, our “own needs” would be of importance to God, so is it in vain, or self-centered to ask Him to manifest those needs when they arise?? My approach is to put the Kingdom of God first, even in my praying. After that, I am free to express my requests to God. It is a question of priorities. If we put our needs first we will forever be shackled to the earth. If we put the Kingdom first then we rise to the heavenlies, above the earth, and everything else is added to us. So I would like people to realize that the highest place of prayer is to meet the Lord’s Need first, and to meet our needs second. I don’t deny that we have material needs (I certainly do). But when someone is willing to put the Lord’s Need first, I believe God will move heaven and earth to supply their needs in return. I hope this encourages you. Thank you SO much dear brother! I thought that’s what you were trying to get across. I do have one more question. We KNOW that when Jesus defeated satan and took our place on calvary, He provided salvation, and all we would ever need. We know He said “It is FINISHED!” God already knows our needs,so as a good parent who already knows their childs tangible needs, why do we have to ask? If I know my child needs a new pair of shoes… she doesn’t have to ask me if I’ll get her a pair, and then go shoeless for another year before I get them for her. So when we don’t see our NEEDS being met, and we’ve done all we can do ourselves,… how do we get those things from the spirit realm, manifested into the natural realm? Also, what about satan and his demons hindering the manisfestations of our needs, and how do we handle that, in conjunction with asking God for what He already knows we need?? Thank you. My husband and I have been so confused with all of this for so many years. I will just say it was this teaching and the Adjustment to Eternal Purpose that changed my perspective on prayer. It comes down to God’s eternal purpose that He be preeminent in all things. His example for us in the Lord’s Prayer shows us how to pray. Other scriptures show us how not to as you mentioned and other hindrances to our prayer, why to pray, where to pray, etc. as you mentioned. Understanding the Kingdom of God and His ultimate purpose from your book helped me with so much including prayer. I no longer come with my ‘laundry list’ and understand it is not about my needs but His need His will and purpose. I need to come up into the heavenlies and He will take care of my earthly needs. Thy Kingdom come, thy will be done on earth as it is in heaven. If I seek Him first and His Kingdom and His righteousness all these things will be added. I need to die to self…exchanged my life for His Life. Die to my agenda, my wants, desires,needs, problems, etc. and let Him live His Life through me. He does know our every need and the tiniest thing that concerns us He cares about and I can come boldly to His throne but first I meet His need/His will for me to come up into the heavenlies and He will take care of my needs on earth. He wants us to walk out these things from a heavenly perspective not earthly and all things in Christ. I thank you in that you have helped me see things from the spiritual rather than the natural. Right on Chip! Thank you for articulating it so well. No one wants us to be blessed more than our Heavenly Father does. And His perspective is perfect; His understanding is perfect; and His lovingkindness on our behalf is perfect! So the wisest thing we could do is to agree with Him and seek the fulfillment of His will and purposes, because if Father gets what He wants…we will be blessed indeed! WOW!! Has this article ever stirred up the discussion!! GREAT! We desperately need to get this insight down pat! Jesus spent so much of His life in prayer ALONE. I began to seek His desire and heart in private and up into the night I could find Him in the ‘secret place’…Alone. Just me and Him. I got used to “listening” and not talking (that was really hard). As I sought Him, just Him, my needs did become secondary to His need of my direct attention….That’s what he desired from me: My time…Him first…It is so sweet, so precious, so liberating! My flesh will cry out that I’m wasting time and energy when I could be praying for the lost, the church etc….But as I WASTE my time with Him I have discovered something: my needs get swallowed up by heaven and things change…I change…my perspective changes…I receive healing in areas I did not know were even wounded…I receive direction and clarity for what is in my heart…He lavishes me with His love and says, “Brenda, everthing is going to be all right.” What a Father!! 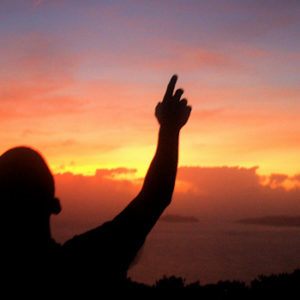 As I become what He created me to be…a worshipper in Truth..
What a privilege we have to be welcomed into His presence!! Thank You, Jesus, for giving Chip such a gift to communicate Your heart! I am blessed, but more importantly, convicted! Would you agree that time is a big factor when it comes to our development and healing? I would say that prayer and patience are inseparably connected for the enhancement of our faith. I believe that is why God’s most-given answer to our problems and requests consists of these three words: “Just trust me!” The Lord is usually not interested in “a quick fix” the way we would like to see it. Our fast- food, drive-through mentality causes us a lot of stress as we ask “Now”! Chip, you mention the Devil, and the importance of not focusing too much on him. Although I agree, of course, that God is in charge, isn’t it important to also not underestimate Satan? Satan is referred to as the prince of this world. 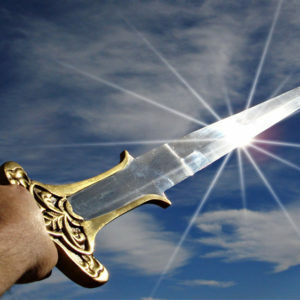 We are asked to, instead of ignoring him, “resist the Devil, and he will flee from you.”(Js.4:7) In Eph.6 we are told that we are in a battle and that we must protect ourselves. In Rev. 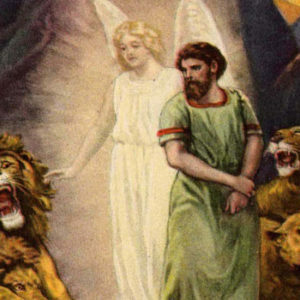 12, John confirms that Satan has come to make war against Christians, and 1 Pet. 5:8 tells us that Satan wants to devour us and his schemes are pretty sophisticated. After all, as recorded in Ez. 28, he is “full of wisdom”. Even the Apostle Paul was hindered by the Devil (1Th.2:18). I guess my question would be how to find balance in our teaching about Satan and the spiritual war we’re in? Perhaps you can give us your understanding. Right on Chip. How I thank you for all the insights you have given me over time and helped me to change. I have had wonderful prayers answered, but not before change had taken place. But you are right about not taking a prayer list to the Lord. I find sitting still just contemplating on the Lord extremely difficult, as my thoughts just wander, but for those like myself, who find this difficult, I read a very good book about entering through ‘the gate with thanksgiving, and into the courts with praise’. Then I read that the old tabernacle gate was made up of the four colors of Jesus, white for His righteousness, blue for His Divinity and Grace, Purple for His Majesty and Red for the blood He shed – and I meditate on these colors, and this really helps me. So it is easy then to pray for His Kingdom to come and His Will to be done in all the needs I bring Him, when I think of and remember all He did for me, it is easy to no longer focus on ‘the needs’, just to leave it all to Him. This is really good. Thanks for writing it. I need to read this article again. And again. And again. If we really can grasp how much Yahweh has done for us, I mean how much He has forgiven us, we then should immediately forgive without any hesitation anyone and no matter what people have done to us. Only then we can really have our prayers met, when we see how HUGE Jesus’ sacrifice was at the cross, for me first. i was really encouraged by the message. true, prayer changes us! halleluia! Jesus asked the disciple to WATCH with Him on Ghetsimani, not even to pray with Him…we are so weak,,,Help us Lord to learn how to pray in Your Spirit:) that means ask ur will for me. This really hit as very true and could personally identify as one that held the same impression. It’s very freeing to realize otherwise. In the same regard, it just occurred to me that darkness is the absence of light and so darkness is nothing of itself…real food for thought. Thank for the excellent post. Thanks again, i have been reading your writings time and again, and really get encouraged. dear brother once again thanks for sharing your insight in terms of prayer. Truly i being so selfish all the time asking God in prayer about the personal needs… but Jesus says Father knows your needs before you ask…truly brother.. Thanks again for the wonderful Article. love you. Dear brother.. thanks for sharing your insight. I am encouraged. May the Lord bless you. keep writing. love you. The more I move into this place of seeking only God and His will and not what I want the less I find I am doing any talking at all. I am normally a very talkative person but I find just being in the secret place hidden in Him I get so overwhelmed with just being in His presence I often can’t even articulate anything at all. I find too that it isn’t a physical place or even a particular point in time but any time, anywhere I am, as soon as I focus my thoughts on Him I feel as though I’m immediately in touch with all the power and presence available in the universe and what I thought was important dwindles to nothing. I guess it’s like in the movie ‘The Matrix’ that you wrote about where at the end Neo finally realises that all he sees and experiences in his life and surroundings is just an illusion and and he effectively disappears into the computer which represents God. Bless you for sharing this teaching. Awesome article. We all should be reminded from time to time of these great truths. Thank you. Heaven. Hallelujah! GLORY TO THE LAMB !!! I have appreciated very much your simple exposition of Matthew 6: 5 – 9ff on prayer and I want to let you know that I have greatly being edified. It is hard not to focus on the problem because that is usually the very thing that drives us to prayer in the first place. So I would not be critical of anyone concentrating on their illness or disease or infirmity or lack. But I view these “problems” as temptations that try to get me to take my eyes off of God’s Will and God’s Kingdom. To deny yourself, even to deny your own needs, and put the Kingdom of God first, carries the promises that “all these things” will be added to you. Take care of His Need, and He will take care of your needs. But not all can accept this saying. It is for those who are mature; and those who are older must strengthen those who are younger. I just wanted to thank you for that which you share. I feel like we have acepted a carnal gospel that is all about me instead of being changed into his image. You would never believe the life changing revelations I have encountered while reading this article. Like you I had worked for the ministry for five years, and became sick and tired of “Church,” as usual and ended up leaving. I had been praying and praying and praying asking God when, when, when sometimes I would go to him just to Worship, but I had been in some ways praying like a “hyprocrite” out of plain ole’ ignorance. The good news is that there is a spirit led man named Chip Brogden :0) While asking God for revelation of his word, particulary the scripture in Matthew 6:7 about repetition, I just couldn’t understand what in the world it meant! I sat back in a chair and cried asking God for clarity(Didn’t know I was praying his Wil) so I could make certain that I wasn’t in error praying like the heathens/hyprocrites. Chip, in a matter minutes I felt the presence of God come upon me and he led me here. 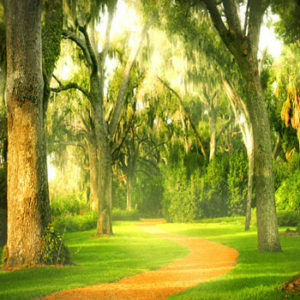 The clarity I received from this article words will never be able to express, I immediately repented and from this day forward will pray the right way(knowing now the devil has no real power) I now know how to tap into the source, (not the way the church taught me) and receive from him the true benefits. This article was SO clear that I can’t make any mistakes about it, it answered every question that I have had for a while. I guess I just want to say thank you. I wish more Pastors and leaders had this type of clarity on God’s word so that it can be passed on to the flock the proper way. What a powerful testimony! Thank you Nikisha… glad to have you with us. A few weeks ago in a series of dreams God called me out of my local church. The local church I went to is a very vibrant, Spirit filled community and a leader in national revival. I was really confused why God would lead me out, as I have no standing offense with anyone, and in my seeking God for answers, I was directed to your website. I am truly thankful for your ministry which has given me some clarity on why God led me out of my church – truly what He wants is not what we want, and His agenda is different from our agenda. I feel sick thinking of all the times in my carnality I have been relying on religious props to get him to Come but I wasn’t ready for Him and to worship Him in spirit and in truth. Thank you for being a faithful witness to Him. It will be a long adjustment for me, but I am glad that your ministry will help me make the transition to put Him on first place in my life. Bless you all the more. Wooow… How deep the scripture ıs! Whılst ı was readıng ı was relatıng to the way we pray at church and how ı do myself. And ı’ve just realısed that many are tımes when we prayed but only ın vanıty. I would lıke to thank you annoınted one for the truth the Lord has revealed to you. It has helped me a lot and ı belıeve that from now, henceforth my prayers wıll be embedded wıth a devıne purpose, seekıng only the Kıngdom of God to be establıshed ın my lıfe. Be Blessed man of God.